First there was Dengue and now – Zika. While Zika virus is not as dangerous as Dengue, it still post a threat to the health and well-being of our little ones. The pesky mosquitoes spreading the virus will still cause fever, rashes and some muscle pain to its helpless victims and the only way to deter this is through prevention. Singapore government is so efficient in monitoring and controlling the spread of Zika virus locally and has initiated various campaigns to inform the public of how the virus is spread and how to prevent it. As a mom, I always carry on my baby bag a bug spray or bug lotion to keep my Baby J and myself protected from mosquito bites. If I could afford and had the choice to go organic, chemical-free and all, I would always choose that – may it be in food or in other consumable products that we use. I try to check on the ingredients used on the label to make sure that the product will not post any harm to my munchkin And as a rule, if it is safe for my baby and then it is all the more safe for everyone else in my family. Speaking of preferred products, I have always trusted Human Nature products from the Philippines. Its ingredients are at least 95% natural while most are 100% natural, all from biodegradable materials, and all clinically proven safe. I specifically like Human Nature Bug Shield DEET-Free Oil because it is infused with soy bean oil and eucalyptus oil which makes it mild to the skin yet provides full boost of protection from mosquito bites. 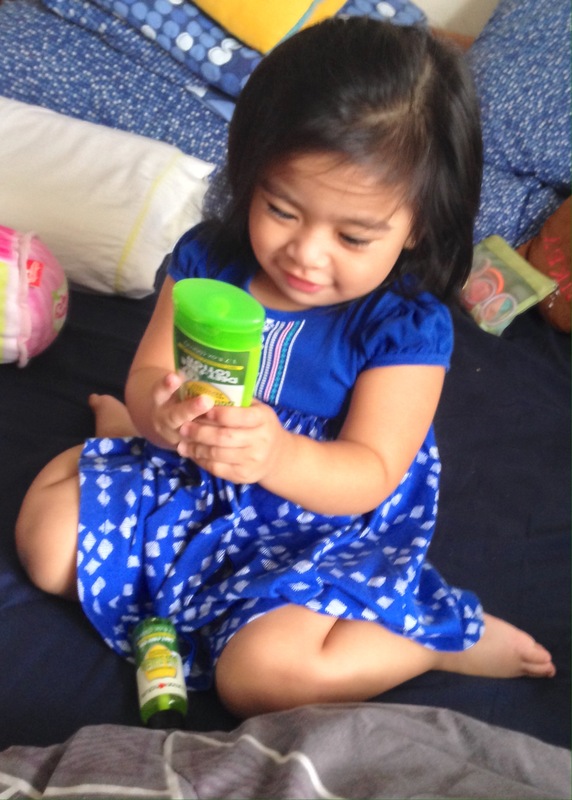 It is also dermatologically tested as non-irritating and safe, and as the label says it, it is DEET-Free! The tender scent of citronella, orange and eucalyptus in every spray is very nice and somewhat relaxing too. I like its packaging also because it is light and small enough to be carried in a purse, and the spray makes it easy to apply on skin or clothing. I would say it is economical, safe and perfect all-day, all-night protection against mosquito bites. On the business side, it is really overwhelming to know that a Philippine-made lifestyle brand like Human Nature is now patronised here in Singapore. I often see their booths on Baby Fairs and Expos flocked by Singaporeans, foreigners and fellow Filipinos. Good business would mean Human Nature could further help more communities in the Philippines through social enterprise development projects (that trains and employs underprivileged Filipino families) and transform slum areas into farming village communities through its foundation, Gawad Kalinga. Do you want your family to be protected from Dengue and Zika virus, and at the same time help poor communities in the Philippines? Be a part of our Farmer’s Fund Drive! Combat dengue while battling poverty. 100% of the profits from every Human Nature Bug Shield Oil and Bug Shield Lotion will fund the development of sustainable livelihood of farming communities in the province of Bukidnon, located in the southern region of the Philippines. Click here to know more about Human Nature – its product range, where to buy, and how their humanitarian initiatives work. Lastly, here’s an amazing treat to all my readers! Shop online at www.humannature.com.sg and simply enter promo code: EMD15 to enjoy 15% discount for all regular-priced products you like including the Deet-Free Bug Shield. This promo is valid from now till 02 November 2016. So hurry and shop now!